As I continue to make motivational posters for the studio, here is #3 of the series. 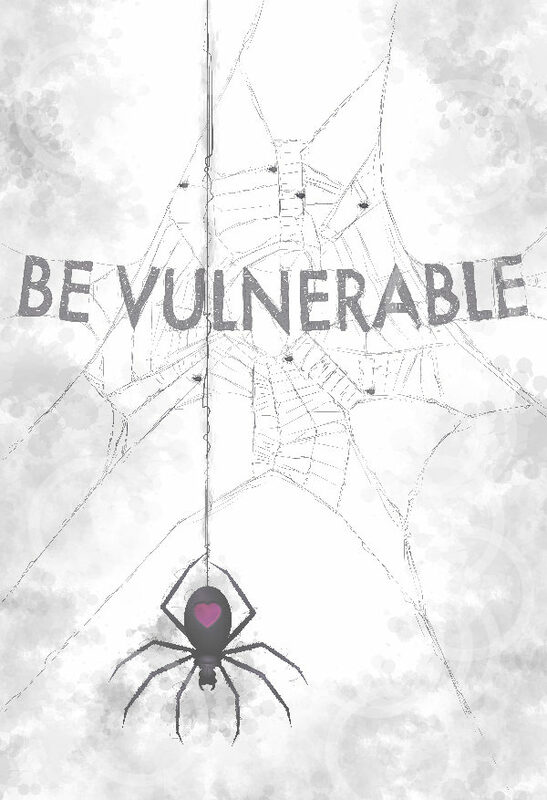 Be Vulnerable. I have a lot of trouble with being vulnerable and I have to remind myself that people like and get along with vulnerable people a lot better. Like a spider who puts its web out in the most dangerous places. It’s vulnerable, but it catches flies.